I AM SO TIRED OF PARENTS ALWAYS ASSUMING THAT THEIR CHILD WOULDN'T DARE EXHIBIT NORMAL DEVELOPMENTAL BEHAVIOR, AND THEN MAKING ME EXPLAIN WHAT "REALLY" HAPPENED AND WHAT OTHER CHILD IS TO BLAME. I mean come on friends! Is it all that shocking to you that your son just MIGHT have pushed someone on the playground?! Do you honestly believe that your child is so angelic (boring) that he never ever breaks a rule? Get a grip. Newsflash: your child isn't perfect, even if he "always act nice at home." (Insert biggest and longest eye roll ever recorded). **update** I checked the blog again and there might be a fix, but I need the help of our administrator. stay tuned. Google Docs has become useless to me because for some reason, I can't access them during most of the day. I receive "trying to reach google.com..." message instead. I can't edit them while I get this message. Went to Google's blog to ask for help weeks ago and haven't received any information. So now I log on during weird times in hopes that I can work off my Google Docs. I'm rarely successful. All other things network related work fine, no problems. It's just Google Docs. Anyone else experience this message? Any fixes? Now I have to think of another way to organize my files on my computer. Oh and that netbook I bought so I could access my Google Docs without unhooking my laptop from their various cords? Right now, it's a really expensive email checker. 6 year old: "I am learning how to fight." 6 year old: "Well my dad is teaching me. He is sending me to karate." Me: "Oh! Karate! You can learn a lot of good things there." 6 year old: "Yeah, I learned all about God. There was this girl and she ate an apple and she died." Me: "Huh. You learned this at karate? (Moving on...) Was her name Eve?" 6 year old: "Yes! Eve. The Chinese people told me and they know a lot about God." Thank you for putting my thoughts in a meaningful, researched, and well balanced opinion piece. You are my hero. My husband and I were given a lovely gift this morning... the gift of silence. The grandparents had kept the wee one overnight and for the first time in ages, we settled into the Sunday Times and sipped our coffee (hot the whole time!) for over a lazy, wonderful hour. I devoured the paper like a kid in a candy store and finally settled into the Sunday magazine. There was an amazing article written by Jonathan Mahler about a principal and his school in the Bronx. The deeper I got into it, the more and more I saw our school, our students, our teachers, and our community represented in each line of the article. "It’s hard to disagree with the reform movement’s insistence that poverty, like ignorant or apathetic parents, should not be accepted as an excuse for failing schools. But watching Saquan, it’s just as hard to ignore the reality that poverty is an immutable obstacle in the path of improving public education, one that can’t simply be swept aside by the rhetoric of raised expectations. Is it really a surprise that a child whose family had been forced to move into a homeless shelter where he was sharing a bedroom with his mother and three brothers was having trouble getting himself to school and was acting out in class? Is it realistic to think that demanding more of him and his teachers is all that is required?" This sentiment is something I frequently think about and talk about. The research shows, as the article points out, "that children’s experiences inside the classroom are responsible for as little as 20 percent of their overall educational development." Given this information, why are teachers being held accountable for 100% of a child's academic success? What about the parents, the family, the neighborhood, the community, the state -- the entire whole of society? Children's educational performance cannot improve without serious reforms focused on living in poverty, language barriers, access to real health care, early childhood education, and a focus on the family, primarily on the caregivers. Until then, "reformers" are simply missing the boat on the real problems and placing blame on the people who are actually trying to do what is best for the kids. As if teachers haven't had a hard enough time lately with being told we're lazy, we don't care about kids, we're greedy and we brainwash our children... now, if the House can't get its act together and the government shuts down, our field trip to the National Zoo is kaput. Now, the ex-Hill staffer side of me isn't too worried because MOCs tend to have more hot air than actual action, so if a shut-down does happen, I don't see it lasting more than a few days. This is tax season after all. But, the teacher side of me doesn't like the wait-and-see prospect of this situation. So, hey, Members of Congress? Doubtful you are listening to anyone but your left-wing or right-wing base at the moment, but there are 160 under-privileged kids who are so excited to take their first trip to the Zoo. Please don't screw it up. Ever since I raised the issue of what school to send my own child to, the conversation has broadened and has given me more and more to think about. First, I discovered that because I don't live within the boundaries of our school district, it will cost us $10,000 per year to send my child to our school. I did not expect that figure to be so high. Second, I've been learning more and more that what I consider normal, routine, and expected in a kindergarten classroom, isn't necessarily so. For instance, we have a very strong take-home book program. 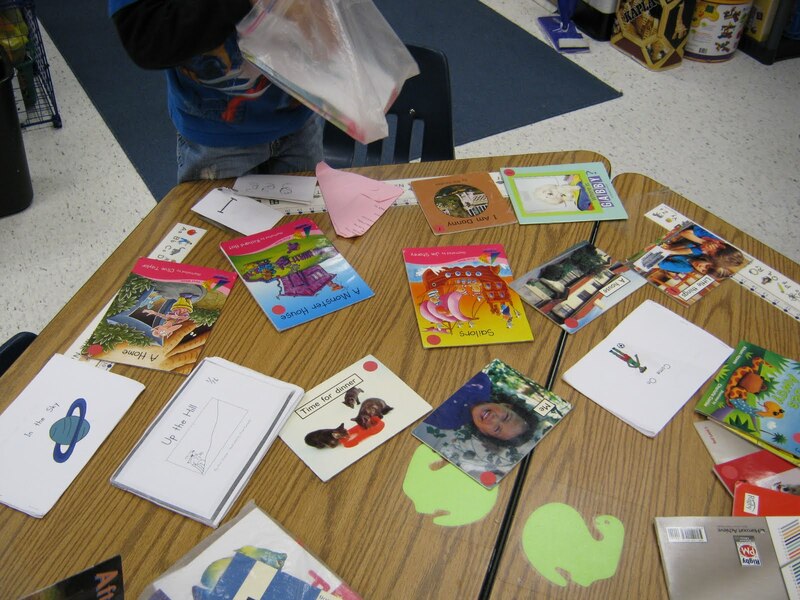 Simply put, all of our students are given real books in guided reading groups that they take home. At home they practice the reading strategies they learned with an adult. 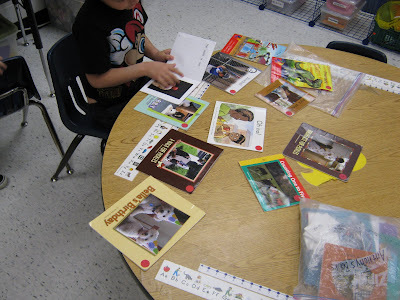 I've seen other kinders from other schools bringing home one photocopied "book" per week. It resembles a coloring packet more than a book. What does your school have?